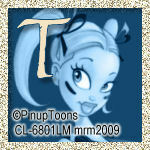 This tutorial is written using PSP 9 but it can also be done in other versions. This tutorial is my own creation and any resemblence to any other tutorial, is purely conicidental. copy and paste the face of your tube, crop and sharpen, if it needs it. I hope you enjoyed my tutorial.